DP Fiction Nightstand Titles | What's On My Nightstand? During the spring “What’s on Your Nightstand” event at the Des Plaines campus, the following fiction books were discussed. “Would you live your life differently if you were given a second chance? Hannah, David, Connie, and Linda—four terminally ill patients—have been selected for the SUBlife pilot program, which will grant them brand-new, genetically perfect bodies that are exact copies of their former selves—without a single imperfection. Blemishes, scars, freckles, and wrinkles have all disappeared, their fingerprints are different, their vision is impeccable, and most importantly, their illnesses have been cured. But the fresh start they’ve been given is anything but perfect. Without their old bodies, their new physical identities have been lost. Hannah, an artistic prodigy, has to relearn how to hold a brush; David, a Congressman, grapples with his old habits; Connie, an actress whose stunning looks are restored after a protracted illness, tries to navigate an industry obsessed with physical beauty; and Linda, who spent eight years paralyzed after a car accident, now struggles to reconnect with a family that seems to have built a new life without her. As each tries to re-enter their previous lives and relationships they are faced with the question: how much of your identity rests not just in your mind, but in your heart, your body?” (Descriptive content provided by Syndetics). “After embarrassing themselves at the social event of the year in high society Philadelphia on New Year’s Eve of 1942, Maddie and Ellis Hyde are cut off financially by Ellis’s father, a former army Colonel who is already embarrassed by his son’s inability to serve in WWII due to his being colorblind. To Maddie’s horror, Ellis decides that the only way to regain his father’s favor is to succeed in a venture his father attempted and very publicly failed at: he will hunt the famous Loch Ness monster. When he finds it, he will restore his father’s name and return to his father’s good graces (and pocketbook). Joined by their friend Hank, a wealthy socialite, the three make their way to Scotland in the midst of war. Each day the two men go off to hunt the monster, while another monster, Hitler, is devastating Europe. And Maddie, now alone in a foreign country, must begin to figure out who she is and what she wants. The novel tells of Maddie’s social awakening: to the harsh realities of life, to the beauties of nature, to a connection with forces larger than herself, to female friendship, and finally, to love” (Descriptive content provided by Syndetics). “When fifteen-year-old Maribel Rivera sustains a terrible injury, the Riveras leave behind a comfortable life in Mexico and risk everything to come to the United States so that Maribel can have the care she needs. Once they arrive, it’s not long before Maribel attracts the attention of Mayor Toro, the son of one of their new neighbors, who sees a kindred spirit in this beautiful, damaged outsider. Their love story sets in motion events that will have profound repercussions for everyone involved. Here Henríquez seamlessly interweaves the story of these star-crossed lovers, and of the Rivera and Toro families, with the testimonials of men and women who have come to the United States from all over Latin America” (Descriptive content provided by Syndetics). “Brimming with life and unforgettable voices, the stories in Austin Bunn’s dazzling collection explore the existential question: what happens at ‘the end’ and what lies beyond it? In the wry but affecting ‘How to Win an Unwinnable War,’ a summer class on nuclear war for gifted teenagers turns a struggling family upside down. A young couple’s idyllic beach honeymoon is interrupted by terrorism in the lush, haunting ‘Getting There and Away.’ When an immersive videogame begins turning off in the heartbreaking ‘Griefer,’ an obsessive player falls in love with a mysterious player in the final hours of a world. Told in a stunning range of voices, styles, and settings—from inside the Hale-Bopp cult to the deck of a conquistador’s galleon adrift at the end of the ocean—the stories in Bunn’s collection capture the transformations and discoveries at the edge of irrevocable change. Each tale presents a distinct world, told with deep emotion, energizing language, and characters with whom we have more in common that we realize. They signal the arrival of an astonishing new talent in short fiction” (Descriptive content provided by Syndetics). “Susan Vreeland …, in The Forest Lover, she traces the courageous life and career of Emily Carr, who—more than Georgia O’Keeffe or Frida Kahlo—blazed a path for modern women artists. Overcoming the confines of Victorian culture, Carr became a major force in modern art by capturing an untamed British Columbia and its indigenous peoples just before industrialization changed them forever. From illegal potlatches in tribal communities to artists’ studios in pre-World War I Paris, Vreeland tells her story with gusto and suspense, giving us a glorious novel that will appeal to lovers of art, native cultures, and lush historical fiction” (Barnes & Noble). “Julie Barenson’s young husband left her two unexpected gifts before he died—a Great Dane puppy named Singer and the promise that he would always be watching over her. Now, four years have passed.Still living in the small town of Swansboro, North Carolina, twenty-nine-year-old Julie is emotionally ready to make a commitment to someone again. But who? Should it be Richard Franklin, the handsome, sophisticated engineer who treats her like a queen? Or Mike Harris, the down-to-earth nice guy who was her husband’s best friend? Choosing one of them should bring her more happiness than she’s had in years. Instead, Julie is soon fighting for her life in a nightmare spawned by a chilling deception and jealousy so poisonous that it has become a murderous desire” (Descriptive content provided by Syndetics). “Unfortunately, Roy’s first acquaintance in Florida is Dana Matherson, a well-known bully. Then again, if Dana hadn’t been sinking his thumbs into Roy’s temples and mashing his face against the school-bus window, Roy might never have spotted the running boy. And the running boy is intriguing: he was running away from the school bus, carried no books, and—here’s the odd part—wore no shoes. Sensing a mystery, Roy sets himself on the boy’s trail. The chase introduces him to potty-trained alligators, a fake-fart champion, some burrowing owls, a renegade eco-avenger, and several extremely poisonous snakes with unnaturally sparkling tails” (Descriptive content provided by Syndetics). “Nineteen-year-old Nayeli works at a taco shop in her Mexican village and dreams about her father, who journeyed to the U.S. when she was young. Recently, it has dawned on her that he isn’t the only man who has left town. In fact, there are almost no men in the village—they’ve all gone north. While watching The Magnificent Seven, Nayeli decides to go north herself and recruit seven men—her own ‘Siete Magníficos’—to repopulate her hometown and protect it from the bandidos who plan on taking it over” (Descriptive content provided by Syndetics). “Meet Ove. He’s a curmudgeon—the kind of man who points at people he dislikes as if they were burglars caught outside his bedroom window. He has staunch principles, strict routines, and a short fuse. People call him ‘the bitter neighbor from hell.’ But must Ove be bitter just because he doesn’t walk around with a smile plastered to his face all the time? Behind the cranky exterior there is a story and a sadness. So when one November morning a chatty young couple with two chatty young daughters move in next door and accidentally flatten Ove’s mailbox, it is the lead-in to a comical and heartwarming tale of unkempt cats, unexpected friendship, and the ancient art of backing up a U-Haul. All of which will change one cranky old man and a local residents’ association to their very foundations” (Descriptive content provided by Syndetics). “A modern masterpiece from one of Italy’s most acclaimed authors, My Brilliant Friend is a rich, intense and generous hearted story about two friends, Elena and Lila. Ferrante’s inimitable style lends itself perfectly to a meticulous portrait of these two women that is also the story of a nation and a touching meditation on the nature of friendship. Through the lives of these two women, Ferrante tells the story of a neighbourhood, a city and a country as it is transformed in ways that, in turn, also transform the relationship between her two protagonists” (Descriptive content provided by Syndetics). “Lucy Barton is recovering slowly from what should have been a simple operation. Her mother, to whom she hasn’t spoken for many years, comes to see her. Gentle gossip about people from Lucy’s childhood in Amgash, Illinois, seems to reconnect them, but just below the surface lie the tension and longing that have informed every aspect of Lucy’s life: her escape from her troubled family, her desire to become a writer, her marriage, her love for her two daughters. Knitting this powerful narrative together is the brilliant storytelling voice of Lucy herself: keenly observant, deeply human, and truly unforgettable” (Descriptive content provided by Syndetics). “Martin Banks is just a normal guy who has made an abnormal discovery: he can manipulate reality, thanks to reality being nothing more than a computer program. With every use of this ability, though, Martin finds his little ‘tweaks’ have not escaped notice. Rather than face prosecution, he decides instead to travel back in time to the Middle Ages and pose as a wizard. What could possibly go wrong? An American hacker in King Arthur’s court, Martin must now train to become a full-fledged master of his powers, discover the truth behind the ancient wizard Merlin…and not, y’know, die or anything” (Barnes & Noble). “At times stern, at other times patient, at times perceptive, at other times in sad denial, Olive Kitteridge, a retired schoolteacher, deplores the changes in her little town and in the world at large, but she doesn’t always recognize the changes in those around her: a lounge musician haunted by a past romance: a former student who has lost the will to live: Olive’s own adult child, who feels tyrannized by her irrational sensitivities; and Henry, who finds his loyalty to his marriage both a blessing and a curse. As the townspeople grapple with their problems, mild and dire, Olive is brought to a deeper understanding of herself and her life—sometimes painfully, but always with ruthless honesty. Olive Kitteridge offers profound insights into the human condition—its conflicts, its tragedies and joys, and the endurance it requires” (Descriptive content provided by Syndetics). “Pax and Peter have been inseparable ever since Peter rescued him as a kit. But one day, the unimaginable happens: Peter’s dad enlists in the military and makes him return the fox to the wild. Meanwhile Pax, steadfastly waiting for his boy, embarks on adventures and discoveries of his own” (Descriptive content provided by Syndetics). “Editor Nye presents poems by modern literature’s angel of devastation and Robert Graves’s mad muse—poems that have come to seem more and more important to literature. Equal parts stage rhetoric and singsong, Riding’s poems are like prophecies uttered by a child. Her influence can be felt not only in the work of her sometime lover Graves but in that of poets as diverse as W.H. Auden, May Swenson, and John Ashbery. The unforgettable music of the lines ‘The rugged black of anger/ Has an uncertain smile-border’ and ‘The poppy edifices of sleep’ prepares the reader for the brilliance of the whole poems. Nye shows Riding’s intriguing work to best advantage—unlike the poet’s own tendentious Selected Poems in Five Sets (Norton) of 1970—and his introductory remarks are a testament to both his friendship with her and his sound critical judgment” (Barnes & Noble). “The second book, following last year’s My Brilliant Friend, featuring the two friends Lila and Elena. The two protagonists are now in their twenties. Marriage appears to have imprisoned Lila. Meanwhile, Elena continues her journey of self-discovery. 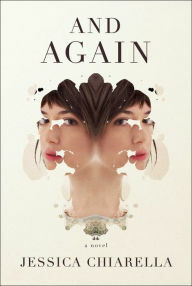 The two young women share a complex and evolving bond that brings them close at times, and drives them apart at others. Each vacillates between hurtful disregard and profound love for the other. With this complicated and meticulously portrayed friendship at the center of their emotional lives, the two girls mature into women, paying the cruel price that this passage exacts” (Descriptive content provided by Syndetics). “A novel of star-crossed lovers, set in the circus world circa 1932. When Jacob Jankowski, recently orphaned and suddenly adrift, jumps onto a passing train, he enters a world of freaks, grifters, and misfits, a second-rate circus struggling to survive during the Great Depression, making one-night stands in town after endless town. A veterinary student who almost earned his degree, Jacob is put in charge of caring for the circus menagerie. It is there that he meets Marlena, the beautiful young star of the equestrian act, who is married to August, the charismatic but twisted animal trainer. He also meets Rosie, an elephant who seems untrainable until he discovers a way to reach her” (Descriptive content provided by Syndetics).